Goring is a beautiful town on the river Thames in Oxfordshire. Goring - Travel by coach - If you'd like to speak to someone about your journey you can ring Traveline on 0871 200 22 33. Goring - Travel by road - Goring is about 8 miles north of Junction 12 of the M4 Motorway. The M4 Motorway links London to South Wales, north of Swansea and LLanelli. Goring is about 55 miles from London and 145 miles from Swansea. Goring - Travel by train - Goring & Streatley Station, Gatehampton Road, Goring, Oxfordshire, RG8 0EP. Customer service 08457 000 125. CCTV. Waiting room. Pay phone. Toilets. Only parts of station step free access. Goring - Shopping - Goring is served by a range of excellent shops, hotels, restaurants, pubs and other services. Goring - Entertainment and attractions - Didcot Railway Centre, DIDCOT, Oxfordshire, OX11 7NJ. TEL: 01235-817200. Salters Steamers Ltd, Folly Bridge, Oxford. OX1 4LA. Tel: 01865 243421. Goring - Other information - The Cholsey and Wallingford Railway. Tel: 01491 835067. 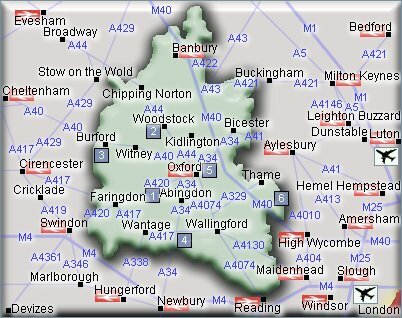 For hotels accommodation in other areas nearby see Wantage hotels & Reading hotels. Goring is about 8 miles north of Junction 12 of the M4 Motorway, between Reading and Wallingford. Rail Stations (Not all stations shown). There is a station in Goring.